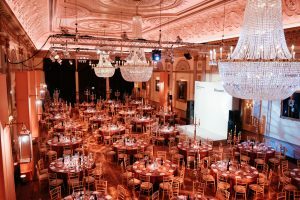 If you are planning a big awards ceremony in London in the coming months and want some inspiration, here are some of Ultimate Experience’s top venue picks. 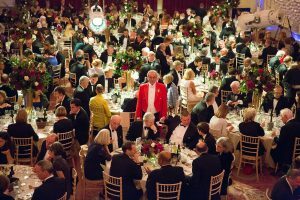 One of London’s oldest livery halls, this elegant neo-classical venue can accommodate up to 374 guests and is the idyllic setting for a lavish awards ceremony. The venue has several interconnected rooms that can be adapted to different themes, and the beautiful Livery Hall makes a great setting for your guests. Benefit from state-of-the-art technology. Plaisterer’s Hall has outstanding visual and audio equipment that can be adapted to various formats. And look forward to an outstanding awards ceremony managed by a dedicated team that will ensure everything – from start to finish – runs smoothly. The Museum of London was purpose built to tell the story of London from its ancient origins to the modern era. With its elaborate interior and capacity of up to 1,000 (350 for banquets), it’s well suited to luxury awards ceremonies. Sackler Hall, the largest venue in the museum, can accommodate up to 600 guests for drinks receptions and is also perfect for evening dinners (capacity: 350) and winter awards ceremonies. One of London’s most visited attractions, the Natural History Museum in the charismatic neighbourhood of South Kensington is renowned for its Romanesque architecture. The building was designed by the acclaimed architect Francis Fowke, who also designed parts of the adjacent Victoria and Albert Museum and the nearby Royal Albert Hall. Nicknamed ‘a cathedral to nature’, it has around 80 million life and earth sciences artefacts and is home to four dedicated events spaces. The largest is the Waterhouse building (reopening in summer 2017), which has beautiful 19th-century terracotta decor and a huge blue whale skeleton. Close to the Tower of London, the City and the thriving new Tech City district, Tobacco Dock offers superb waterside views and has some of the best IT infrastructure of any venue in the capital. That means it’s perfect for awards ceremonies, giving you the chance to make a great statement in an innovative environment. Tobacco Dock’s venues comprise more than 16,000 square metres of space, which can be tailored to numerous themes. Why choose Ultimate Experience for a prize-worthy awards ceremony? Ultimate Experience is a trusted brand of the Concerto Group, one of Britain’s leading events management companies. We have been managing events for clients in London’s most sought-after venues for well over two decades, and have a huge range of talented staff and suppliers who can provide you with an outstanding award ceremony.